1. 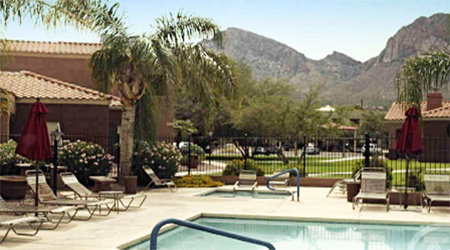 MC Companies sold 319-units at Rock Ridge Apartments at 10333 N Oracle Road in Oro Valley to a private investment group for $39.5M. Tyler Anderson, Sean Cunningham, Asher Gunter and Matt Pesch with CBRE’s Phoenix office, in cooperation with Mike Sandahl in CBRE’s Tucson office, handled the transaction on behalf of the buyer and seller. 2. CBRE has arranged the sale of Decco 109, a 40-unit garden-style apartment community located near Arizona State University in Tempe for $4.8M. Brian Smuckler, Jeff Seaman, and Bryson Fricke represented the seller, 5C Onyx Tempe, LLC, and the buyer, B&R Capital Partners and Capital Allocation Partners. 3. Land Advisors Organization Scottsdale team of Ryan Semro, Ben Heglie, Bret Rinehart and Greg Vogel represented the seller, Tousa Recovery Acquisition, LLC in the transaction of 60 lots to The Crossing at Gila Springs, LLC for $4M. The 60 lots are located in Chandler, and planned for the Artisan Village at Gila Springs master planned Community development. 4. Cushman & Wakefield announced the sale of Scottsdale Design District, a 110KSf boutique showroom at East Thomas Road and North 68th Street in Scottsdale Cushman & Wakefield’s Chris Toci, Chad Littell and Brent Mallonee arranged the transaction on behalf of the seller. The purchasers were introduced to the asset by Brandon Holdings, the sponsor, and IX Advisors LLC. Key investors included Stephen Summers, President of Mockingbird Interests, and a Hong Kong family office. No price was provided.